This poster advertises two showings of the film "A Luta Continua" (the Struggle Continues) on November 29. 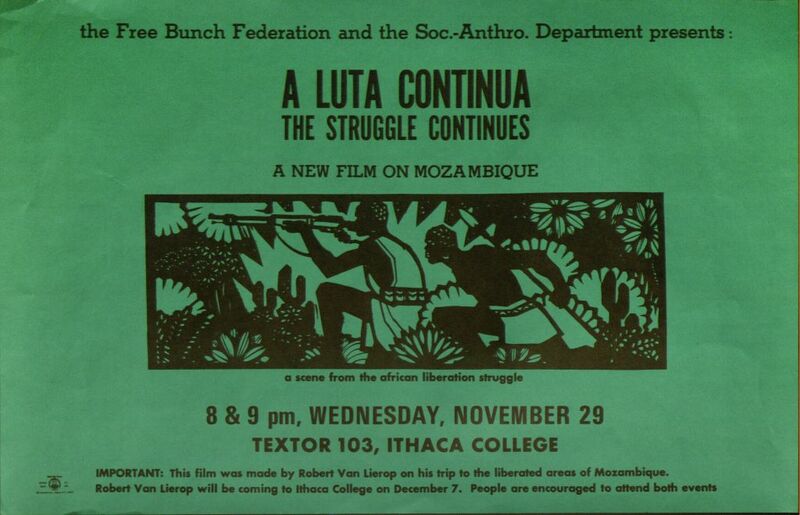 The poster notes that the film was made by Robert Van Lierop on a trip to the liberated areas of Mozambique and that Van Lierop will be coming to Ithaca College on December 7. Size: 11 x 17 inches. Used by permission of Richard Knight, a former member of the Free Bunch Federation.